I grew up in Dayton, Ohio as the youngest of eight kids. Dayton is the home of Wright-Patterson Air Force Base and when I was little, I always saw these cool planes flying overhead. I think that is what motivated me to want to serve in the armed forces. After high school, I earned my undergraduate degree in Finance from Marquette University in 1992 where I also earned a commission as a Naval Officer via the Navy ROTC program. I am the first person in my family to have graduated from college. Once I graduated, I chose to serve onboard ships as a surface warfare officer. My first duty station was Key West, Florida where I served on a ship whose primary mission was to interdict drug running and just by the nature of the location, we inevitably picked up hundreds of Cuban refugees. My second ship was a guided missile destroyer based in Pearl Harbor, Hawaii where I served as navigator for an Arabian Gulf deployment and several other critical missions. While I was stationed in Hawaii, I met and married my lovely wife, Bonny, who is a United States Naval Academy graduate and served as a Cryptology Officer in the U.S. Navy. We loved living in Hawaii because we got the opportunity to hike, explore, and learn to surf. After some fantastic experiences, we both decided to leave the Navy in 1997 and we joined Procter & Gamble in Brand Management. At Procter & Gamble, I was fortunate to learn a ton about marketing and general management on some fantastic brands ranging from Crest toothpaste to Pampers as I made my way from Assistant Brand Manager to Associate Director. In my just over 11 years at P&G, I got the opportunity to reinvigorate several brands as well as set the global sustainability strategy for the $9 billion Pampers brand which included new product development, health claims, and social responsibility efforts. In 2009, I joined the Kellogg Company in Battle Creek where I have had some incredible roles and experiences. These include leading the company’s U.S. Olympic Sponsorship for the 2012 London Olympics, Serving as Marketing Director for Pop-Tarts, and leading the $2 billion cracker portfolio as a Senior Director which included the consumer-favorite Cheez-It brand. 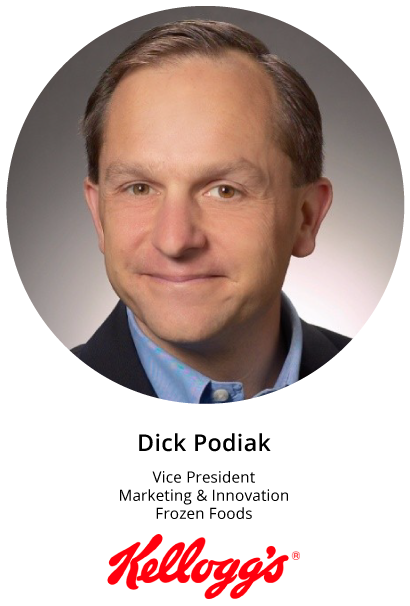 In my current role, I serve as Vice President of Marketing and Innovation for Kellogg Frozen Foods where I lead the marketing function for the business unit and lead a team in managing the Eggo and MorningStar Farms brands. A couple of things that I’ve become known for are turning around declining brands, successful new product launches, and leveraging sports and music sponsorships to drive consumer engagement. I’ve had some cool opportunities such as start a NASCAR race, attend the summer Olympics, meet countless Olympians, and start a concert series. Bonny and I have two children. Claire is finishing her freshman year at the University of Michigan studying Engineering on an Navy ROTC scholarship. Molly is finishing up her senior year in high school and will be attending the University of Michigan in the fall also with a Navy ROTC scholarship. We live with our Labradoodle, Sam, in Portage, Michigan. 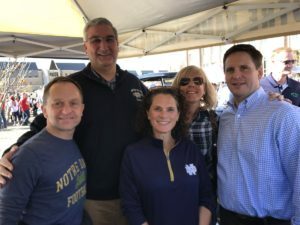 Why did you select Notre Dame for your Executive MBA? I considered several school options when deciding pursue my MBA. Earning my MBA is something that I have wanted to do for a long time. However, as I left the Navy, I spent time working on developing my skills at Procter & Gamble and then we had two kids in quick succession and didn’t want to take the time away when they were younger. Notre Dame has two important factors that set it apart from the other programs I considered. First is the values-based curriculum. In visiting and learning about the school, I truly felt that the idea of Expect more from Business closely matches my personal values. The second is the faith-centric nature of the University. My faith is extremely important to me and is a strong part of who I am as a person. As a lifelong Catholic, how could I not love the fact that the two central features of the campus are the Basilica the Golden Dome with Our Lady at the top? What career advice would you offer students and graduates as they begin their internships and full-time positions in the next two months? Use these experiences to learn and grow. You are developing the foundational skills at Notre Dame that will make you successful in your career. Now is the time to combine that with your leadership skills that you have developed as a leader in high school, your undergraduate work, and prior work experience. That will help set you apart. A critical piece of advice that I would give that may seem old school but highly relevant is to take time to build relationships in these organizations. Do not try to just manage by e-mail. Set up meetings with your counterparts and try to get to know them before getting down to business. If someone is in the building, get up and go talk with them at their desk. You’ll find that you taking the time to do more for them will result in them taking the time to do more for you. You’ve learned at Notre Dame how important it is to value others. Don’t forget that in the work place. What is your favorite ’90s jam? The ‘90s were an incredible time for music. Picking a favorite song or band is like choosing my favorite kid. 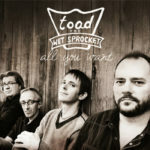 But if pushed, I think that All I Want by Toad the Wet Sprocket is one that I always love listening to. I am an avid runner and have run several marathons. I love to travel and explore new places. Some of my favorite places include Rome, Florence, London, Hong Kong, Dubai, and Sydney. I also love to cook, bake, and grill. I make a mean deep-dish pizza, awesome steaks, and delicious Panettone all through the Christmas season. What is your favorite part about your role, or working with, Kelloggs? I love leading brands that have such consumer fans. Whether it is Pop-Tarts, Cheez-It, or Eggo, it is always fun to see new products in store and talking with people about them. These are part of the American culture and to have had an impact on them and be trusted to lead them is an awesome experience. When I read, I like to do it for leisure. Books by Dan Brown or Daniel Silva are captivating, and I get new ideas of places to visit. Favorite class, professor or subject? I’m one year into the program and I have really loved learning and applying the curriculum to current events and my work. Microeconomics, Macroeconomics, Accounting, Corporate Finance, and Supply Chain Management have all helped me broaden my skills to be more effective serving on a business unit leadership team. Welcome to MBA IRISH ECHOES: the Notre Dame MBA student blog. Thank you for visiting, and we hope you find life inside Notre Dame's MBA program to be as exciting as we do. New content will be featured weekly from student contributors. Enjoy! The First Ever ND MBA Technology Innovation Challenge! Thanks to all of our Vets! Business or pleasure: Are you a Steve Jobs or a Jack Welch? Is Brand Management Right for You? Welcome back! How was your internship? Favorite first year class… Financial Accounting 1&2?